Cuba is such an easy country to do on your own, by bus or by rental car, forget the organised tour in busses of 25 people, walking around in a group, see what the guide wants you to show ... really ... do it on your own you won't regret! Our itineraries will show you some suggestions on how to tour the Island, remember Cuba is 1200 km long! 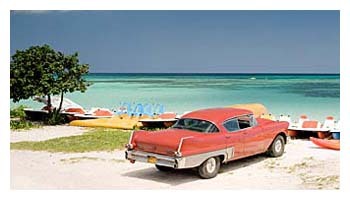 Below you can choose from some options, itineraries departing from Havana. 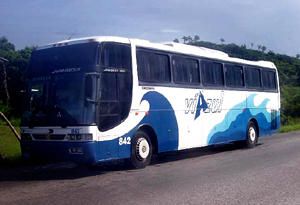 The options will show you how to travel around Cuba by Viazul bus OR by Rental Car ... easy does it. When you check out the link "The ideal first timer itinerary" you will see an explanation on how we think you should do Cuba for the first time in the best way. It is by rental car so if you are intended to go by bus ... skip that page. But again, we recommend to do this itinerary because it will show you all Cuba is about. Remind renting a car is expensive, for 50 USD per day you can drive a small car in Cuba. Be early if you want to make a reservation specially if you go to Cuba in July/August and December/January and February since it is high season during that period and cars are all rented about a month before. Sure you will find a car still, but big chance you will pay TOP rates. Some people say driving is difficult in Cuba, the roads are bad and there are no signs. The last two are true but it is not difficult to drive around Cuba. You just have to be aware that the conditions of the roads are not as in our countries and DO NOT DRIVE AT NIGHT!